Supplier & Distributor of Explosive Vapor Detector & Explosive Detector. Our product range also comprises of CCTV Camera, CCTV DVR Video Recorders and Accessories and CCTV IP Megapixel Camera. Our organization is engaged in wholesaling, trading, distributing and supplying optimum quality Explosive Vapor Detector. It is field programmable by operator via the four control buttons and the visual LCD provided on the main unit as well as via software installed on the Laptop / PC. 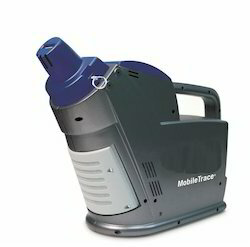 Offered vapor detector is Capable of detecting at least 10-13g/cm3 TNT at 20degC, 80%RH non condensing. We test the vapor detector on several parameters so as to deliver defect free range. Principal of detection: FAIMS(Focusing of ions at Atmospheric pressure in a high field asymmetric waveform lon mobility spectometer) No radio-active source & materials. Vapour and particle trace detection. Indicators: Audio and LCD on the unit as well as storage of data on an attached Laptop/PC with Pilot M1 software installed. We are passionately engaged in providing an exclusive array of Explosive Detector. It detects all major classes of explosives including peroxides, nitrate based and plastic explosives, as well as precursors and taggants. This explosive detector is chemical detector designed for dedicated screening of explosives at checkpoints. 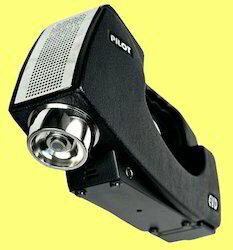 Offered explosive detector can be fetch at affordable rates in a promised time frame. 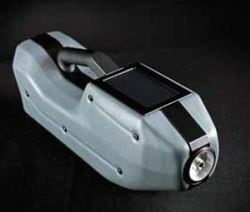 Portable highly sensitive trace and vapour detector M-ION is an advanced device for rapid and reliable detection and identification of microscopic traces of explosives such as RDX, EDGN, NG, TNT, dynamite, cyclonite and improvised explosives based on them. Looking for EXPLOSIVE VAPOR DETECTOR ?